Yummy food for me, and LOTS and LOTS of attention. I walked around Santa Barbara with my family last weekend. I have to say I LOVE people. Great big crowds of people….. because EVERYONE gives me love. It’s sort of hard for people to resist when I am laying underneath a table and wanting to lick their feet when they walk by. 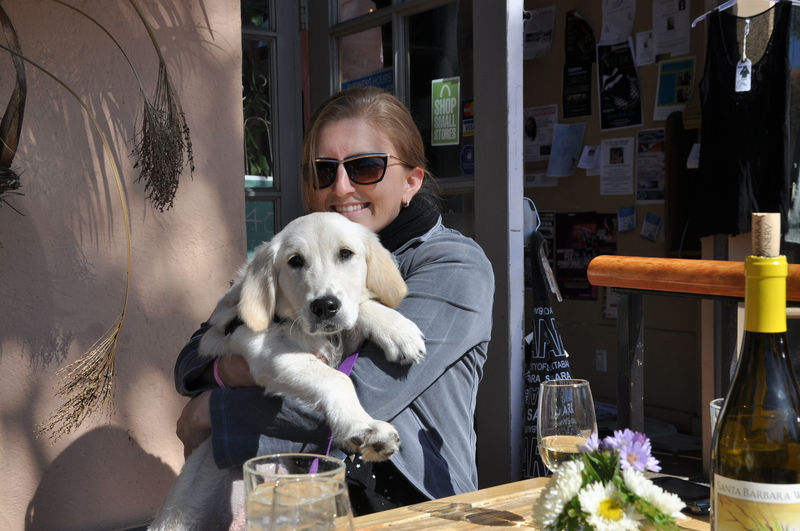 People stopped while we were eating lunch and asked if they could pet her…. I even met a few other dogs along the way.